Berlin police have appealed for information to help them establish the identity of a teenager who appeared in the city saying that he had been living in the woods for five years. The teenager is about 17, and speaks English and a little German. He told the police that he and his father went to live in the woods after his mother died. He said he left the woods in August when his father died, and walked for two weeks before reaching Berlin. He said he couldn't remember where his family came from, but that his name was Ray. "We have sent appeals for help to all European countries via Interpol... we really have no idea where he comes from," Michael Maas, a spokesman for the Berlin police said. The boy appeared at a youth emergency centre in Berlin on 5 September. He and his father had taken to the woods about five years ago after his mother's death, he told police. The boy said he and his father did not set up a home, but slept in a tent, and huts they found in the woods. Police say the boy claims he followed his compass and went northwards after his father died, reaching Berlin. The boy has been medically examined and is physically healthy. Police say they have no evidence of a crime having been committed. Interpol, the world's largest police organisation, is investigating whether a teenager who emerged in Berlin saying he had been living in the woods for five years is listed as a missing British child. The 17-year-old, called Ray, appeared at Berlin's city hall on September 5 and was taken in by a youth emergency centre after explaining that his father had died two weeks earlier and he had buried him in the woods. The boy, who says he does not remember where his family came from, said he followed his compass north to reach the city. Today, police chiefs said they had approached Interpol to see if the boy matches any missing person reports. Officers will not know the results of the inquiry until Monday. Claudia Elitok, of Berlin Police, said: 'He speaks fluent English and a few words in German.He remembers his name but we are not releasing it. 'He explained that the last five years were spent in the woods with his father, then his father died and he buried him. He was walking for two weeks before getting to Berlin. Detectives are going over everything Ray has told them to establish a picture of his background and biography. It is not known if he will accompany police to the spot where he left his father and began his journey to the capital. A spokeswoman for the Foreign Office said: "We are aware of these reports and we are looking into them." It is thought consular staff could begin liaising with the authorities in Berlin on Monday if the teenager proves to be British. 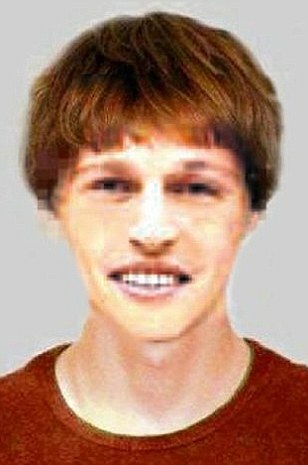 The teenager's story is reminiscent of the Piano Man, German Andreas Grassl, who was found wandering the streets of Sheerness, Kent, in 2005. Despite Europe-wide appeals, no-one knew who the 20-year-old was. For months he remained uncommunicative except for showing his accomplished pianist skills. There were reports the boy had been sent to a youth detention centre while authorities try and work out who he is. The boy told them he did not know where he was from - and said his father had told him to travel north to Berlin if anything ever happened to him. German police believe the story of the English-speaking boy who emerged from the woods in Germany “is credible” and that his accent may prove the key to establishing his true identity. ..... The boy says he and his father, Ryan, moved to the forest about five years ago after his mother, Doreen, died in a car crash. He claims to remember little of his life before that time but has given police what he thinks is his date of birth. Father and son were perpetually on the move, he said, sleeping in tents and dugouts and hunting and foraging for food. German police trying to identify an English-speaking boy who walked out of the forest near Berlin. Apparently living wild with his father for five years, the authorities are preparing to launch a public appeal in their bid to find out who the teen is. “We are probably going to release a photo and ask the public for help,” Berlin police spokesman Michael Maaß told The Local on Monday, admitting that he and his colleagues had got no closer to solving the mystery of the boy from the woods. He said that the boy, who walked into the city’s landmark City Hall carrying a rucksack with a tent in it on September 5, had still not come up with any more information than his first name – Ray – and the first names of his mother and father. In a case that has attracted international attention over the last few days, he said that he and his father Ryan had left civilisation five years ago – after his mother Doreen was killed in a car crash. Yet he has not been able to say who he is, nor anything about where he comes from. Whether this is due to a dramatic loss of memory or some traumatic experience is not clear. Maaß said a translator has been assigned to the boy, who is thought to be about 17 years old. But they have so far been unable to work out what accent his English might have. He only speaks a little German. A Swiss couple have said a boy who emerged from woodland in Germany claiming he had lived wild for the past five years is their grandson. 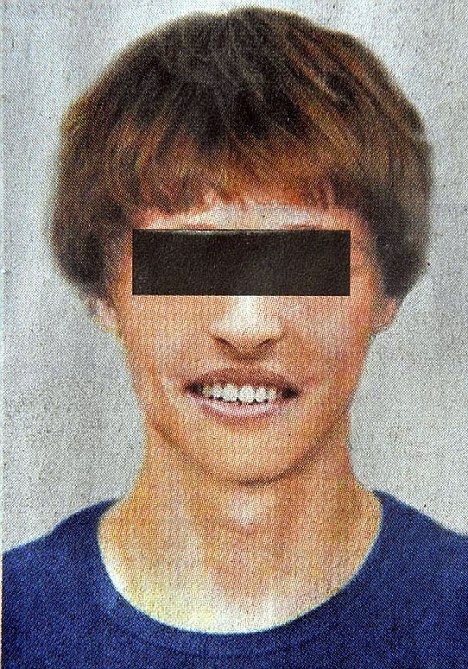 The mysterious 'Forest Boy' who claimed to have spent years in woods has never lived in the wild, according to German police. They now suspect the story of 17-year-old Ray' after examination of his clothes and tent revealed no sign they had been used for very long in the open. The English-speaking teenager, who refuses to have his picture taken to help find his family, appeared at Berlin City Hall early last month. He said he had lived five years in the forest with his father Ryan after the death of his mother Doreen in a car accident. He claimed that when his father died suddenly in August he buried him among trees, and then walked for two weeks to Berlin using a compass and map. But police and social workers began suspecting two weeks ago that his story was bogus and his motives were suspect. They cannot understand why the only personal details he has revealed are his birthday and first name. He has told investigators he has no memory of his past. But doctors say he is in in perfect health with no signs of amnesia or mental problems. Ray has refused to provide a DNA sample despite a Swiss couple coming forward last week to claim he could be there grandson and agreeing to be tested. The teen told police he was not interested in establishing his identity, and simply wanted to start a new life after the death of his parents. He is now in the care of social workers after a legal guardian was appointed to represent his interests. If it is found that he comes from Switzerland he will be deported back there. No sign of his father's grave has been found in cursory searches of forests in the Harz Mountains, along the Bavarian-Czech border or in Thuringia. A check of police computers in all 16 states of Germany found that no one by the name of Doreen had died in a car crash in the past decade.